Where are you from originally and what was your connection to Bolivia at the time? What brought you to Bolivia initially, and what caused you to decide to stay here and make a life in Bolivia? I'm originally from Queensland in Australia and I came to Bolivia to visit my Bolivian girlfriend who I met travelling years before. I stayed because of my partner Carolina and also because together we saw a lot of things which we knew we could make a difference in, especially conservation and tourism. Did you find the transition to living in Bolivia very difficult? What are some of the things you did to prepare for moving here and living here? Moving here was difficult but I had lived overseas in Afghanistan for 3 years prior and also travelled to Bolivia on past trips. I did a bit of research about places to visit in Bolivia but in all honestly I wasn't sure if I was going to stay long term. What do you find you enjoy the most about living in Bolivia? I love living in Bolivia because I truly believe it's the most beautiful country on the planet. And there is nothing better than just having to drive a few hours from the house to be in some of the world's most pristine and untouched ecosystems. What do you find most difficult about living and making a living in Bolivia? Living in Bolivia is great however I find the acceptance of many who still think shooting every animal on sight (especially rare animals such as jaguars or tapirs for fun and posting the pictures online to see) is frustrating. Corruption, especially with the police, is also another very hard part to deal with and makes working here a real challenge. Did you speak Spanish prior to arriving in Bolivia? If not did you study before you arrived or have you been learning it as you go? How well do you speak Spanish now? I spoke little to no Spanish before coming here and it's been a challenge. I am not fluent by any means but am able to get by in most situations - it's a work in progress. Ultimately you decided to establish a tour agency called Nick's Adventures, to provide guided tours to different parts of Bolivia. How did the idea of establishing a tour agency come about? Had you worked in tourism previously? The idea of tourism started from travelling Bolivia and finding it nearly impossible to reach many areas I had been researching about. 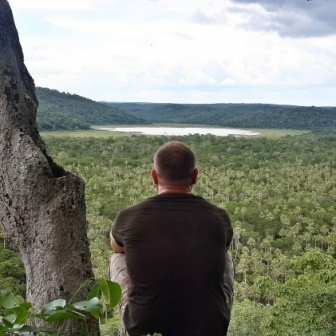 An 11 day trip to Madidi was the starting point and I had the trip of a lifetime and also saw my first jaguar, which had been a life long dream. I visited extremely remote areas in search of jaguars and each trip found more and more exciting areas with potential. Lack of any tourist information, and also speaking with countless tourists who all said Santa Cruz was boring, was another reason why we wanted to set up an agency. On one of my first trips in Bolivia we visited an amazing waterfall called Jardin De las Delicas - a world class destination yet it received less than 10 people per week, so I knew things had to change. I imagine you must have toured Bolivia extensively prior to deciding to become a tour guide yourself. Once you made the decision to establish Nick's Adventures, how did you decide to which locations you would provide tours? Was there something in particular that interested you most that you thought might be fun and beneficial for others to learn about through travel? We set up our Agency and our first goal was to promote Santa Cruz more as a tourism destination. We developed different ideas to other agencies such as sandboarding tours in Lomas De Arena and we developed tours that were specifically designed to see Jaguars in the remote Bolivian Chaco forests. We also mix tourism with conservation and we use a range of scientific ideas such as camera trapping and making plaster molds of animal tracks to involve the tourists more in our own studies of regions. In Bolivia there are many tour and travel agencies. Most of them provide tours to the same locations. What have you done to distinguish Nick's Adventures from others? Are there any particular tours you offer that no one else does? We have been working on a Project for the last 2 years called the San Miguelito Jaguar Conservation Tour and this has taken a lot of our own time and money. 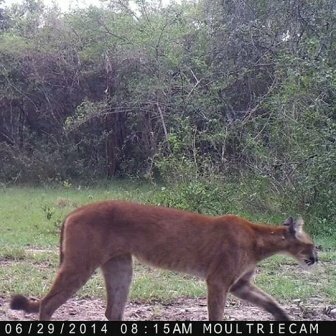 The idea behind this project is to develop responsible controlled eco-tourism to this ranch where money raised from tourism will go towards replacing cows that have been eaten by jaguars, and this in turn helps the rancher and means fewer jaguars or pumas will be killed. 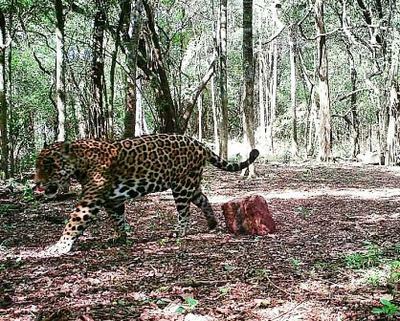 Click here to read more about the San Miguelito Jaguar Conservation Tours.